Should I Take the Insurance Company's First Offer? Should I Take the Insurance Company’s First Offer? Should you accept the insurance company’s first offer even if you want to settle your personal injury claim? The answer is clearly no. So why do so many lawyers and victims do it? The primary reason attorneys and victims do just that is this fear that the insurance company is going to get mad and pull the offer off the table. Presumably, they would say, “How dare you make a counter to our settlement offer. We will have no further settlement discussions. You can talk to our lawyers from here.” This is the doomsday scenario for someone who really does want to settle their case and secretly has no interest in filing suit. Is this a theoretical possibility? Sure. But it is an extremely unlikely thing to happen. I can only think of two instances in my career where an offer EVER was decreased. The first was a “Plaintiff posted a video on Facebook scenario” that, while not entirely her gutting claim, made her allegations seem a lot less plausible. We settled that case for less, which was a fair result. No one doubted the young woman was badly hurt, but she reached further than she should have in terms of her limitations from her injuries and juries and judges love videos. The second was a garden variety foot fracture case where the insurance company offer $75,000. Take it or leave it but it is going to zero. I couldn’t believe it. It was the only time an insurance adjuster ever pulled that with me. It was an off-brand insurance company that I had always enjoyed working with and still do to this day. But this adjuster had a bullying scheme she was dying to run with and I guess her superiors gave her some room to run with it. I have to give the woman credit. She said what she meant. We filed suit and they sent me a letter formally withdrawing the offer. We had to actually work up the case. Oh no! This American tragedy was interrupted when, at a mediation that same insurance company requested, they kicked their offer up to $150,000 and the case settled. So after pulling their offer off the table, they doubled it. 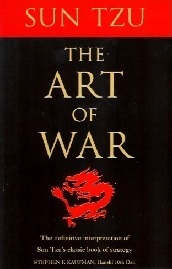 Let’s just say the adjuster never read Sun Tuz’s classic, the Art of War. I think there is a fear out there of making an “insulting demand” in the case that gets someone so mad they act irrationally. You know, maybe there are some individual adjusters who are just that insane. But, individual adjusters rarely live in a world where their bitterness and spite is going to drive decision making from the insurance company. During one of my self-help book phases of my life, I read a book by Jack Canfield and Mark Victor Hansen called The Aladdin Factor. I think I bought the book because I liked that song a lot. Still do. Anyway, the big premise of the book is that you need to know what you want and you need to ask for it. You can improve your life through the power of asking. Blah, blah, blah, right? But the point is that if you want more or, even better, genuinely believe you or your client is entitled to more, you have to ask for it and you have to explain why you think the number should be what you want. I guess that is one way of looking at the world. Maybe it is a more evolved world view. But the way I see it, I don’t have the luxury of fighting to get fair value for my clients and I’m not. I’m trying to get our clients as much money as humanly possible. This is the nature of the adversarial system we have in this country. If I’m shooting for fair and the other guy is shooting to pay as little as humanly possible, that is recipe for failure. So if that is the way you approach life, good for you. I’m sure your blood pressure is lower than mine. But if you are representing serious injury clients, you have to suspend this outlook when you come to work and if you are a victim– probably foolishly — trying to handle your claim, just put Deepak Chopra in the closet for this one case. 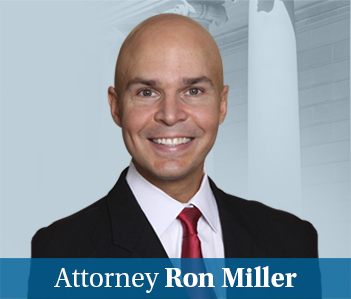 A corollary of all of this is that because floors and ceilings tend to get set in negotiations, if you know for sure the case will not settle, my advice is to get the first offer from the defendant and just file suit. If you know they are not going to meet your true reasonable number to resolve the case, you are just giving them a number they are going to throw back in your face as they move their offer up and you continue to put your feet in concrete. The whole “let’s just cut to the chase” approach sounds great and refreshing. It also does work. Earlier in my career, I made this mistake in a wrongful death motorcycle accident case and the case took a lot longer to settle than it should have. How do I approach a settlement demand? What is my case really worth?